I am a Christian mom, wife to the love of my life for 8 years, and a family travel blogger. I was born and raised in Southern California and I don’t plan on ever moving away. I love to craft, from scrapbooking to wood crafts, I love it all. My new addiction is to adult coloring books, they are so calming to me. I could eat pizza and tacos everyday of my life as long as I have a rootbeer to go with it. I miss me time. It is the one thing that I have not found time for in my last 4 years of motherhood. I stayed away from reading mommy books. Once you start letting others influence your parenting you will be unhappy. The Nose Frida saved my sanity on numerous occasions. When my children would get a running nose, I was so scared to use those awkward nose suckers you get when you bring your baby home. The Nose Frida is the same concept except so much less stressful. Now when my children have a runny nose they ask for the Nose Frida because it clears them right up. Your baby is not going to break. Don’t be scared of her, all she needs is your love. I love to plan and I did a lot of it before I brought home both of my children but nothing could have prepared me to care for a new baby. Going from a family of 2 to 3 and then from 3 to 4 is a huge transition. My husband and I struggled with infertility and it was some of the hardest times of our lives. The negative pregnancy tests seemed to be never ending. What I would say to those trying to conceive is that God has a plan for you, don’t let it consume your life, he will provide. Enjoy the time with your spouse because once you have a little one, your life will forever change. Stay positive, as hard as it may be, this is just apart of your life’s journey, embrace it. Watching all of my children’s accomplishments. Seeing them proud of themselves always makes me cry happy tears. 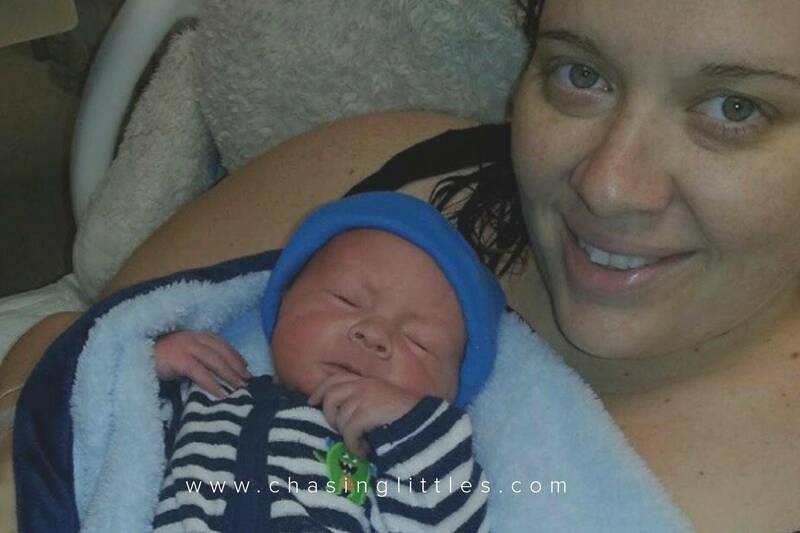 I suffer from extreme anxiety and when I was making my birth plan with my doctor we decided that we would induce and give me an epidural very early on to keep me from feeling any pain. I labored for 3 days and pushed for almost 4 hours. I was exhausted and hungry but had a healthy baby girl to show for all of my suffering! 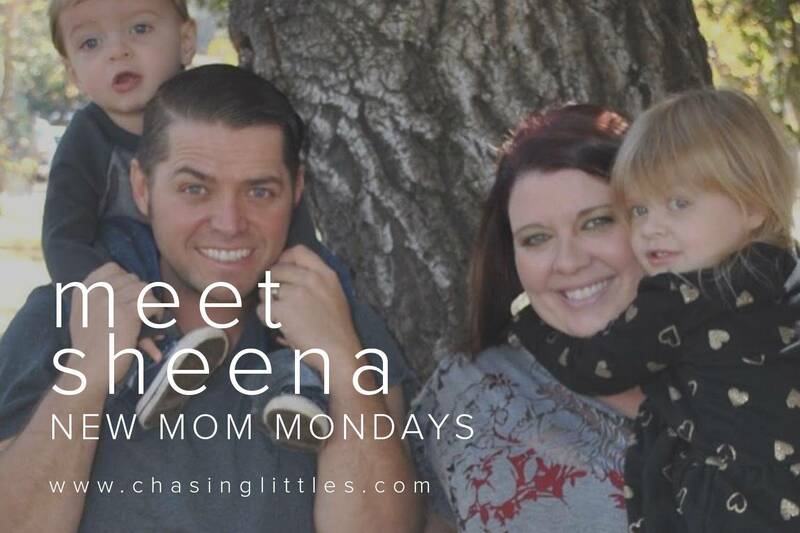 To hear more from Sheena be sure to visit her blog Shining Thoughts Blog and follow her on instagram! This is so cute! It’s always fun to hear from new moms, so I’ll be ready once I’m there! This is so sweet!!! It’s nice to celebrate new moms! This is so great! So nice getting to learn a little bit more about you!! Being a new mom is so overwhelming and exciting at the same time. What a great series! That time passes way to quickly…. What a fun idea for a series. A fun way to get to know people. Labored for 3 days?! Holy moly, way to go mama! Not sure I could have handled that. I lucked out with a relatively short labor with my son. Great idea for a series. And I like a bunch of Sheena’s answers. I never read many mom books and I struggle to find me time too since having 3 kids. And it’s totally organized chaos! i am not a mom yet however, i absolutely respect and adored her open, honest answers! my life is a pretty organized chaos too esp lately. This was fun! Getting to know bloggers in ways like this is a joy. As a Christian mom of two grown ladies, I always enjoy reading blogs of new moms. You are doing a great job .. and yes.. they don’t break! What a great idea for a blog series. Although I’m not a mother myself yet, it can be so helpful to connect with people who have gone through similar experiences, so I’m sure that certainly holds true for motherhood.